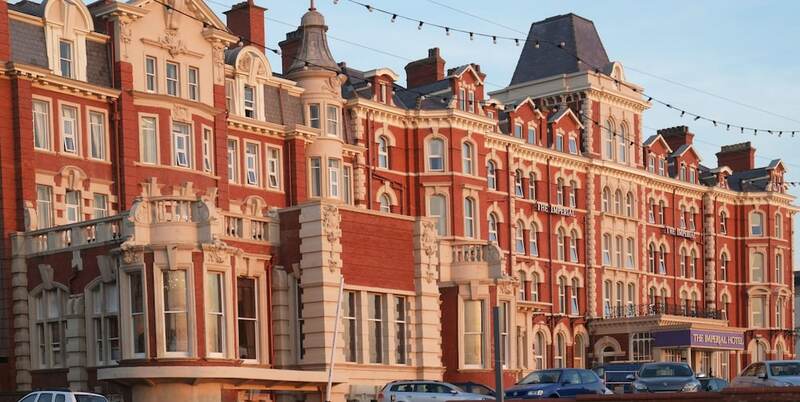 The Imperial Hotel is an elegant establishment in Blackpool that provides great comfort and quality of services in a prominent area of the city, very close to Gynn Square and Blackpool Pleasure Beach. Rooms at The Imperial Hotel are equipped with wireless internet connection, desk, coffee maker and bathroom with bathtub, hairdryer and personal hygiene items. All the rooms have a daily maid service. The Imperial Hotel offers spa services such as facials and massages also in its facilities a sauna, Turkish bath and an indoor pool. The hotel also has facilities of a restaurant, a café and a bar. The Imperial Hotel offers its guests services which include express check-in, business centre, meeting rooms and parking.